Like the majority of people in the western world I’d never heard of ‘Infernal Affairs‘ (2002) until ‘The Departed‘ (2006) came along. I even mistakenly rented out ‘Internal Affairs‘ (1990) starring Richard Gere before I got my hands on a copy of this Hong Kong movie featuring Andy Lau (Lau Kin-ming) and Tony Leung (Chan Wing-yan). Of course the cool thing to say is that the original’s the best but I’ve been never cool and as much as I love both versions I probably just about prefer the Hollywood re-make. 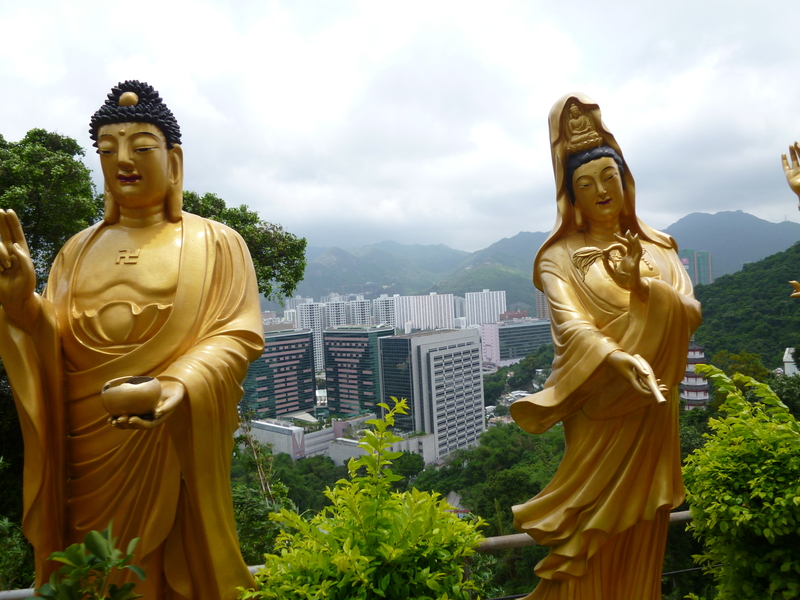 So ‘Infernal Affairs‘ starts off straight away at Ten Thousand Buddha’s Monastery (above) in Sha Tin on the KCR Railway Line on minute one. 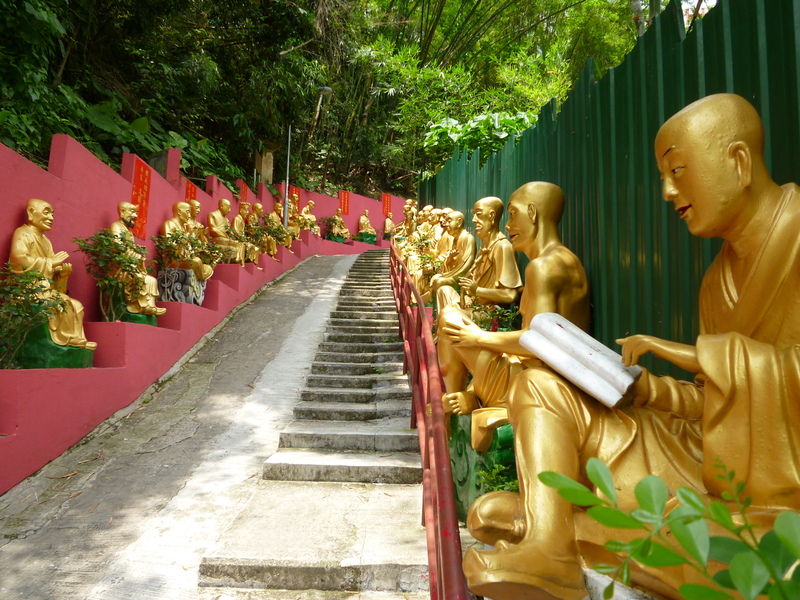 It may be only about 5-10 minutes away from the station but there are 400 steps leading up to it and they do wind up through quite literally thousands of golden Buddha statues, hence the name! 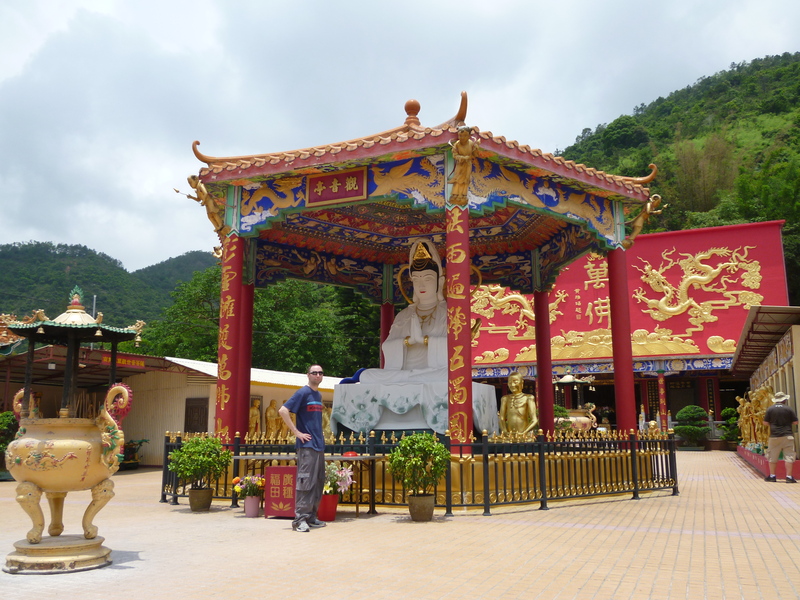 Its a nice break from the main area but isn’t actually a real monastery as there are no monks on site. There is a vegetarian restaurant on site selling some fairly big-sized dishes at a nice cheap price which I just had to take advantage of. 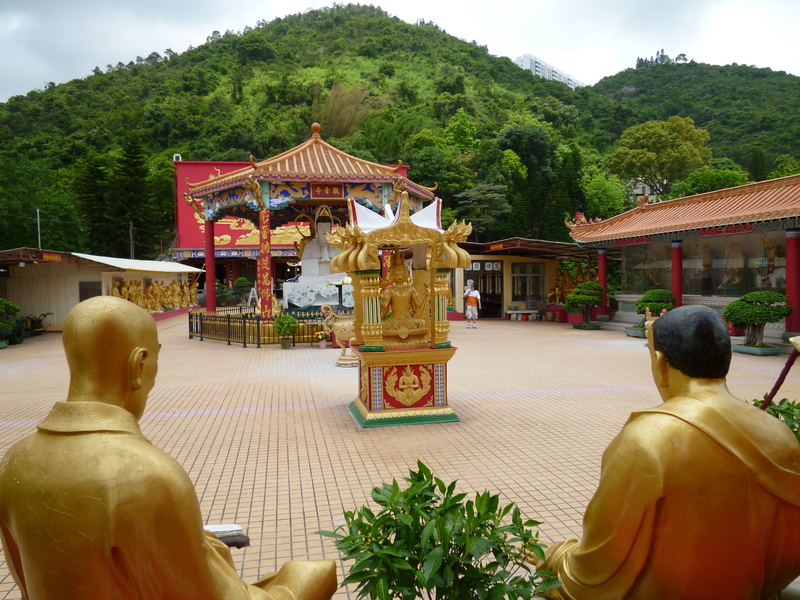 It is this monastery where Hon Sam, the triad (a term used to describe underground Chinese criminal organisation) boss is about to send a load of young gangsters into the police academy as moles. 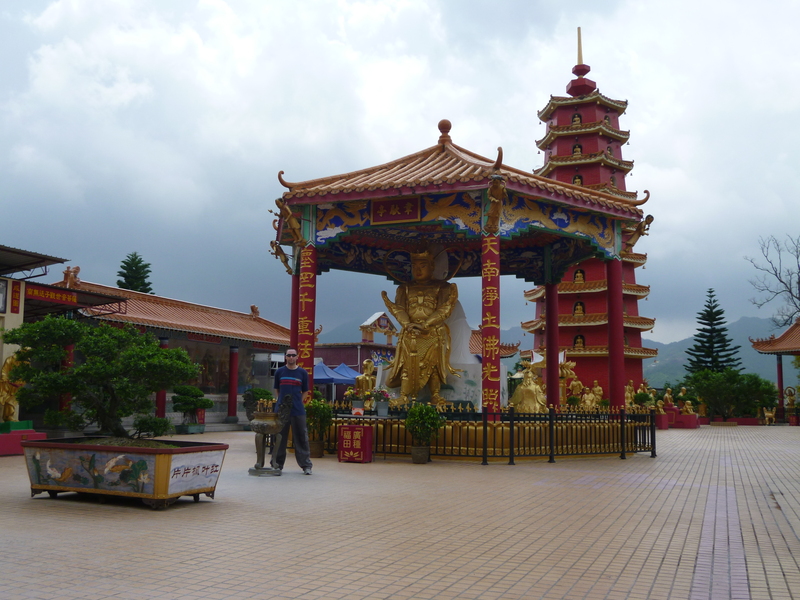 Lei Yue Mun Park & Holiday Village (below) in the north east of Hong Kong island is the training academy where a young Chen is dismissed from the school to become an undercover cop. The address is 75 Chai Wan Road and Shau Kei Wan on the Island Line is the closest station albeit a 20 minute uphill climb! This area has changed quite a bit since filming and it’s hard to make out the exact spots! The two undercover heroes meet each other after eight minutes at Ultra Isotherm Audio & Video Co (below) at 151 Apliu Street in Sham Shui Po. Of course this is just a chance meeting and they have absolutely no idea of each others identity. The Thai cocaine deal involving Hon Sam on 19 minutes is at the junction between Shantung Street and Sai Yee Street. The triads are in the yellow building in the centre of the picture below and the cops are on the opposite corner. It is this deal which ultimately makes both organisations aware that there is a mole in both camps. 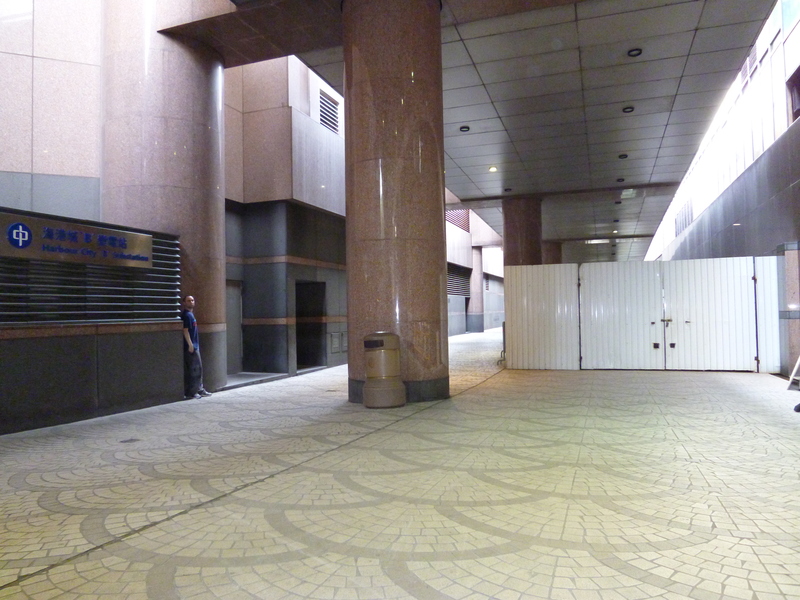 Chan nearly discovers the identity of Lau (the triad undercover in the Police force) in an alleyway next to Golden Gateway shopping area (below) of Tsim Sha Tsui. Having watched Hon Sam conversing with the mole at a cinema Chan tries to follow Lau but loses his target when his phone rings at the most inopportune moment. It can be found at 25 Canton Road and appears on screen after 45 minutes. 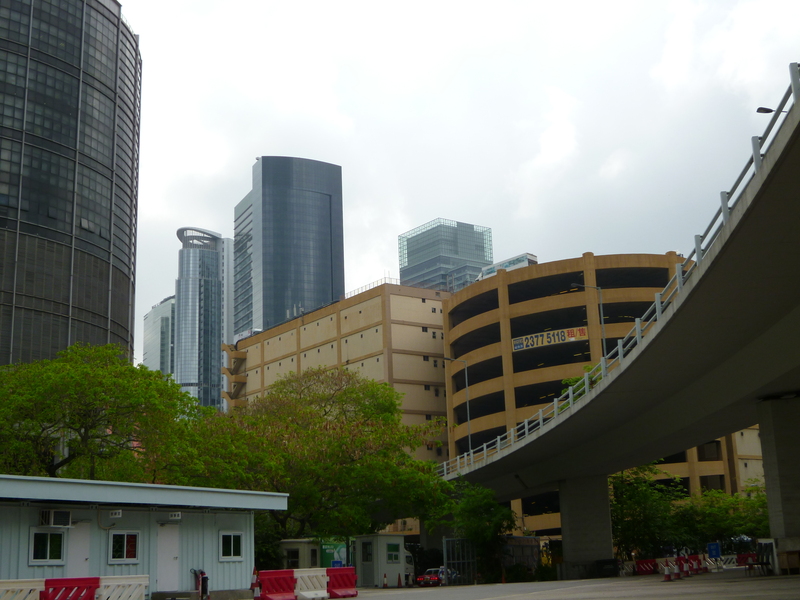 Ngau Tau Kok Police Station (below) on Wai Yip Street is seen on screen briefly after 32 and 64 minutes respectively. 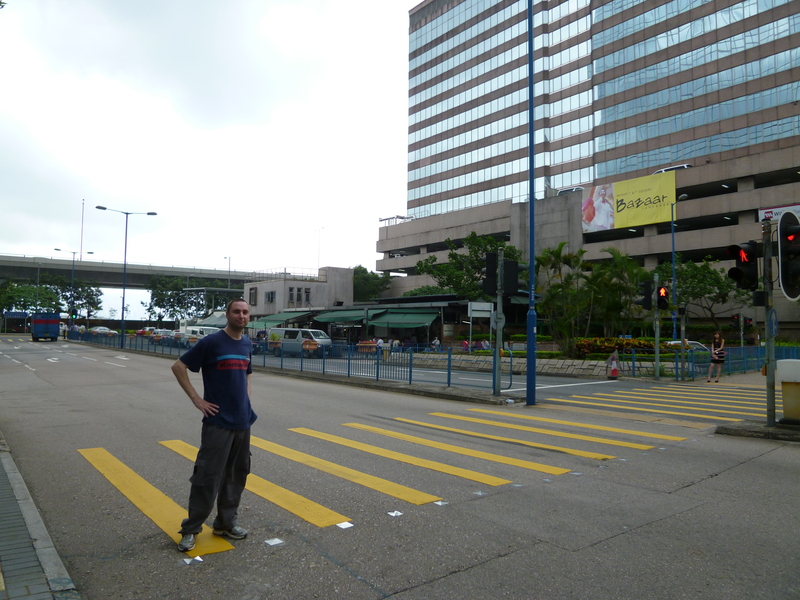 The nearest Metro station is that of Kowloon Bay on the Kwun Tong Line. 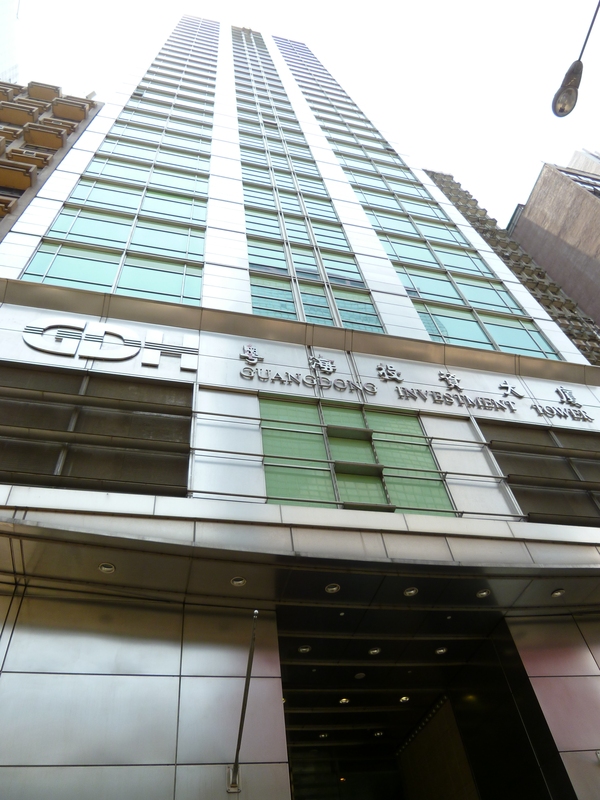 After 56 minutes, Guangdong Investment Tower (below) at 147-151 Connaught Road Central in Sheung Wan is where Chan meets Superintendent Wong who is the only person who actually knows he is a cop. Fearing for Chan’s safety Wong intends to pull him out of undercover work but they are unaware that they are being tracked. Whilst Chan flees the rooftop using a crane, Wong sacrifices his life to save Chan and is beaten up severely before he’s thrown off the roof. The rooftop of this building is later used (99 minutes) when the two moles meet up at the films dramatic conclusion. Sunshine Kowloon Bay Cargo Centre (below) at 59 Tai Yip Street appears on 76 mins shortly after the two moles connected by phone and agreed to cooperate in order to foil a drug deal by Hon Sam. In the film, the police say it’s Lung Cheung Road Car Park where Hon Sam is heading to but its not. The plan proves successful with many of Hon’s men arrested whilst Lau, becoming more accustomed to life as a police officer and wanting to erase his criminal background, betrays Hon Sam and kills him. Bonus: A few of the films stars have their names and hand prints in stone on the ‘Avenue of the Stars’ on the peninsula. Below are two main stars of the stars! Andy Lau is the triad who infiltrates the police department and Tony Cheung is the police officer who goes undercover into a triad. Eric Tsang (below) plays triad boss Hon Sam. ‘Infernal Affairs II‘ (2003) was a prequel and I have a couple of locations from that to tag on the end of this article. The rooftop car park (above) where the deal is going down is Star Ferry multi-storey car park at 9 Edinburgh Square in Central. 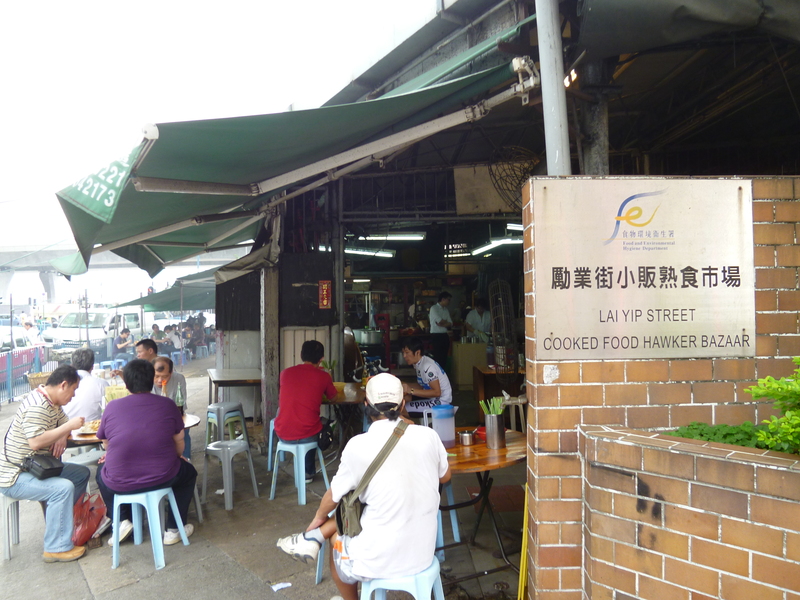 Lai Yip Street cooked food hawker bazaar (below) is the spot where triad boss Ngai Wing-Hau (Francis Ng) and his family go to for late night snacks. Some of these locations couldn’t have been found without the aid of this site. This entry was posted in Asia Travel, Movie Locations and tagged avenue of the stars, Guangdong Investment Tower, hong kong movie locations, infernal affairs filming locations, Lei Yue Mun Park & Holiday Village, Sunshine Kowloon Bay Cargo Centre, Ultra Isotherm audio & Video Co, where was infernal affairs filmed? china filming locations. Bookmark the permalink. Thanks! I’m a big fan of the films and now I know where the shooting locations are. thanks! I hope to visit those places! big fan of those films too. Awesome! Even though you prefer the nonsensical Hollywood remake! lol. Did I say that? Cant remember! Well I saw The Departed first so thats one reason why!